Want To Run an AI Summit? Here’s Your Step-by-Step Guide. Are you excited about running an Appreciative Inquiry (AI) Summit, but feeling a bit nervous about the prospect? Get step-by-step guides that teach you how to bring people together to create changes that they are love and are committed to making. Be inspired by “best practice” examples that show you how to design and deliver an energizing, engaging, effective AI Summit. Be given a collection of steal-with-pride AI Summit checklists and templates that you can use over and over again. Our AI Summit toolbox includes everything I’ve learned in the last ten years working alongside Professor David Cooperrider to design and deliver AI Summits, including all the tools, templates, and checklists I wish I’d had when I started. Sound like something you could use? Buy it now and get instant access to all the resources you need to start planning your own AI Summit today. 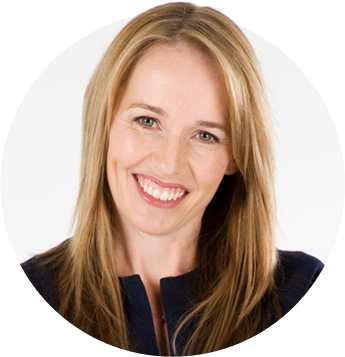 My name is Michelle McQuaid, and these days I’m a best-selling author, workplace wellbeing teacher and playful change activator. I help people find the confidence, energy and support they need to create changes that enable them to thrive. But it wasn’t always this way. Back in 2007, I was frustrated and exhausted. I’d spent more than a decade in large organizations around the world trying to encourage and enable people to live our brand values. But I kept noticing a big problem. Over and over again, the approaches we used to enable long-term behavioral change would fail. It looked liked the changes had worked for a little while, but as soon as leaders moved on most people went back to their old ways. The changes just wouldn’t stick. In desperation I started looking for a better way and stumbled upon the emerging science of positive psychology – the evidence-based exploration of human flourishing — and by the time I’d completed my Masters with Professors Martin Seligman and David Cooperrider I understood that most change approaches fail because we try to “fix” what’s wrong, rather than “build” on the strengths available to us. After seeing David bring this promise to life for 400 cynical auditors in an AI Summit, I was hooked and have spent the last decade studying and practicing alongside him. And I’ve put everything we learned into this AI Summit Toolbox in the hope that it helps you to also create more positive changes in the world. How Do AI Summits Create Positive Change? Organizations, schools and communities use Appreciative Inquiry (AI) Summits to create positive disruptions that mobilize people to create something better and more meaningful together. They help people to build strong, trusted connections, so they can confidently self-organize, make a positive difference for others, and feel comfortable taking responsibility for the things that matter most to them. AI Summits do this by creating psychologically safe spaces for people to come together and discover their strengths, share their dreams for the future, design collaborative pathways forward and take responsibility for their destiny. Deliver energy improvements across the state of Massachusetts resulting in nearly $9 billion worth of benefits for residents and businesses. Unite the world’s religious leaders to bring together more than 7 million people of different faiths to help build a better world. Help schools introduce and embed positive education approaches for students, teachers and families to improve wellbeing. Want to know how? That’s exactly what we teach you in our AI Summit Toolbox. Short how-to videos that walk you through designing and delivering a one-day AI Summit. A set of step-by-step guides that explain how each phase works, and the positive psychology practices that ensure people flourish throughout the experience. Best-practice examples you can steal with pride, including pre-Summit guides for clients, participant workbooks, a facilitator’s agenda, PowerPoint slides, a post-Summit report, and a post-Summit coaching guide. Tailored checklists you can use to create your own one-day AI Summit for your own organization, or run them for others as a consultant. These materials can also be used to create multi-day AI Summits as well if needed. You get the entire Toolbox right away and have lifetime access to all the materials, so you’ll always have everything right at your fingertips when you need it. …and Start Creating Strength-Based Change in Your Workplace, School, or Community. We’re sure you’re going to find the AI Summit Toolbox enormously valuable – and we’re willing to back it up with a hassle-free guarantee! If the Toolbox doesn’t give you practical steps you need to successfully design and deliver a one-day AI Summit, just email our support team within 14 days, and we’ll send you a full refund. Phew! I know that’s a lot to absorb! So take a quick moment to close your eyes, and just consider what might be possible if you were able to help people flourish, both individually and collectively, using the magic of AI Summits. If you’re ready for a practical, step-by-step roadmap for creating successful AI Summits, it’s my heartfelt hope that you grab your copy of our AI Summit Toolbox today.